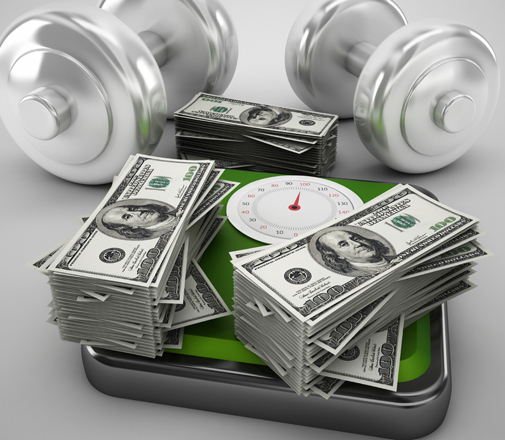 Are you ready to get on track to a healthy financial future? It’s easy to become a member of LOC Federal Credit Union where we’ll help you get Financially Fit TogetherSM. Membership is open to anyone who lives, works, worships, attends school or volunteers in Livingston or SW Oakland County. A current or eligible member's immediate family (spouse, sibling, child, grandchild, parent, grandparent) or an individual living in the same household of a current or eligible member can also join LOC. Your business must be located within Livingston or Southwest Oakland Counties to qualify or all owners must qualify individually for membership. You can start the account opening process online, but will need to visit an LOC Federal Credit Union branch to complete the process. We've made moving your accounts from other banks and credit unions easy with our Switch Kit. It contains everything necessary to help you make an easy transition. Follow the steps below and you can be on your way to enjoying all the benefits of being an LOC Federal Credit Union member. Here is LOC's Switch Kit Checklist. Print out along with the forms attached to the steps below and complete. Open your account. All it takes is a $5 minimum deposit to start. Switch over your direct deposits and automatic payments by using the Switch Deposits/Payments form. Transfer your IRA to LOC using the IRA Direct Transfer Instructions Form. Close all other savings, checking and bill pay accounts using the Switch Account form. Remember to make sure that all direct deposits and automatic payments have been moved to your LOC account and that all outstanding checks or automatic payments have cleared your old account. Feel free to contact us with any questions or if you need assistance throughout the process. We look forward to helping you get on track to become Financially Fit TogetherSM. Prefer to apply in person? Locations in Farmington, Hartland & Howell. LOC Federal Credit Union did an outstanding job of demonstrating fast superior customer service and a strong first impression experience in sharing possible solutions to my immediate financial needs. Check out these great member perks.